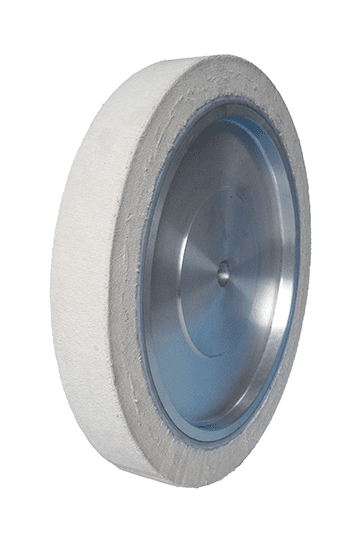 The contact wheel FAPI-BW is made of cotton cloth lamellae attached around an aluminium hub. The length of the cotton cloth lamellae can be varied depending on the application (standard: 35 mm). The cotton cloth lamellae provide the contact wheel with a “running cushion” with which a (very) fine finish is possible especially when working on (strongly) cambered and profiled parts. The lamellae adapt themselves without difficulty to every workpiece. Above all, the contact wheel FAPI-BW with softer lamellae contributes in large measure to abrasive belt cooling, due to the spaces between the lamellae dissipating off the heat generated during belt grinding. With their cotton cloth lamellae, the contact wheels of the FAPI-BW – series are very well suited for fine grinding operations. Because of these outstanding properties, the contact wheels of the FAPI-BW – series have proven themselves in the market over decades. 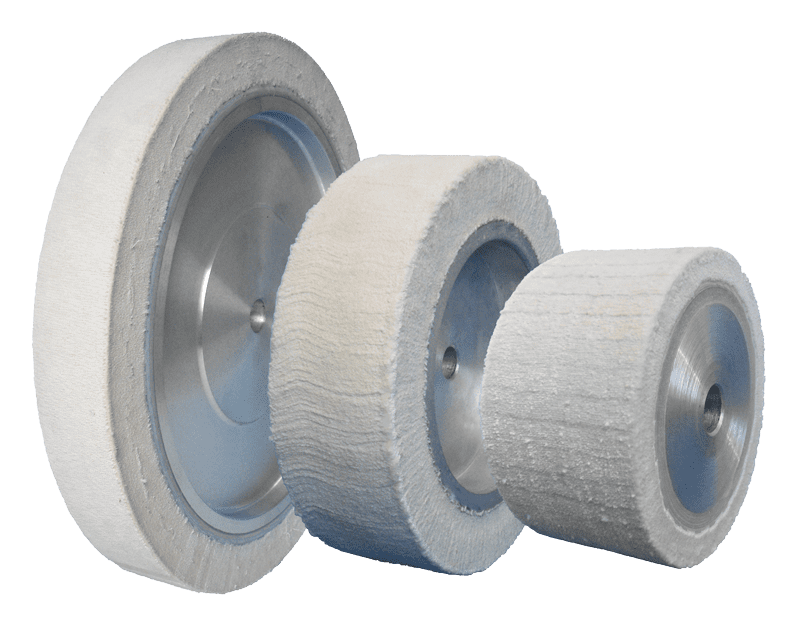 The contat wheel FAPI-BW is used for heavily profiled and heavily rounded parts that are ground manually in a dry process. The hardness of the cotton cloth lamella contact wheels can be differenciated into several levels. The coating hardness ranges from “extra soft” to “extra hard”. The hardness of the contact wheel FAPI-BW is achieved with the number of cotton cloth lamellae around the contact wheel’s circumference, i.e. the density of the cotton cloth lamellae. A precise value in Shore (A) is unfortunately not possible.